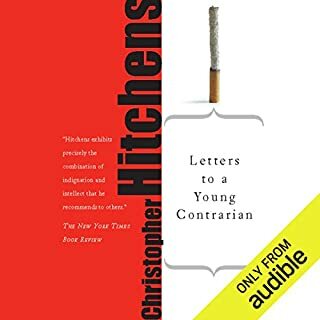 This audio book, like most of Hitchens?? ?s work, is packed full of gems. I wish he had narrated it, but I am thankful that he wrote it. It generally takes me about ten times of listening to an audio book to completely absorb it, but this is quite easy to do while running, driving, or working out. As with much of Hitchens?? ?s work, if you do absorb it, your mind will be expanded and you will be better off for it. Hitchens really gets you thinking. Let?? ?s hope that ?? ?Love Poverty and War??? comes out on Audio soon.